Continuing my travel posts after my Top 10 things to do in South East Asia, I thought I would write about my top things to do in Singapore in one day! When I visited Singapore, I was only there for just over a day. Singapore is small enough to get around in a relatively short period of time so using it as a stopover between destinations in Asia is ideal. 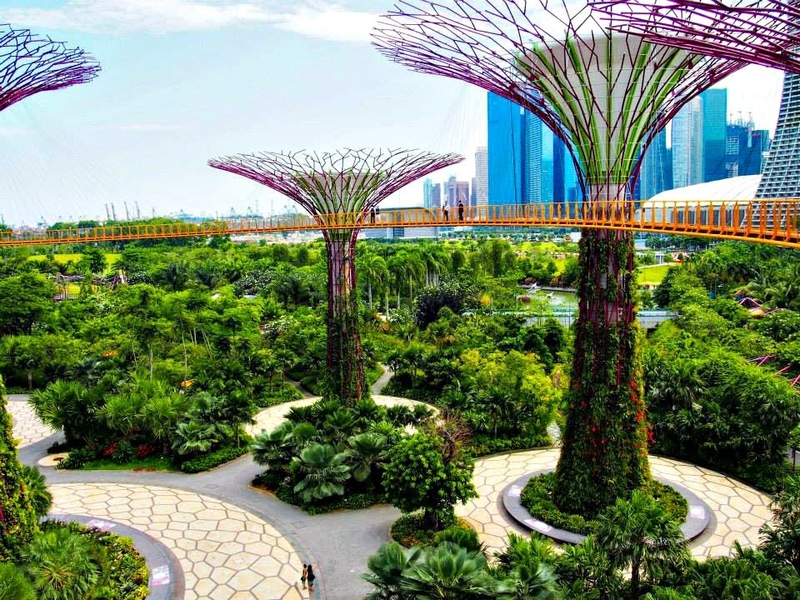 Singapore is also expensive in comparison to the neighboring countries in the area, so if you're backpacking it' probably best to limit the time you spend here. Mandarin but it is very easy to get around as most people speak English and signs and menus are in both languages. Getting around is easy with the bus and MRT (metro) systems. Taxis are also really cheap and its easy to flag one down, most speak English. Locals are really friendly and culture is generally very similar to western countries, you'll feel like you're in a hotter cleaner London! Not only a great place to get some of the local food; check out the Maxwell Centre and chicken rice! There are markets, museums and places of worship like the Buddha Tooth Relic Temple. It's also somewhere relatively cheap to stay if you're ok kipping in a hostel and is a bit closer to things than Little India (the other area which is dense with hostels). Singapore also do a tourist travel card which you can use on buses and the MRT for one or two days depending which one you buy. This card also allows you to hop on and off their city tour bus which is a good way to see the sights around Singapore in a short space of time. 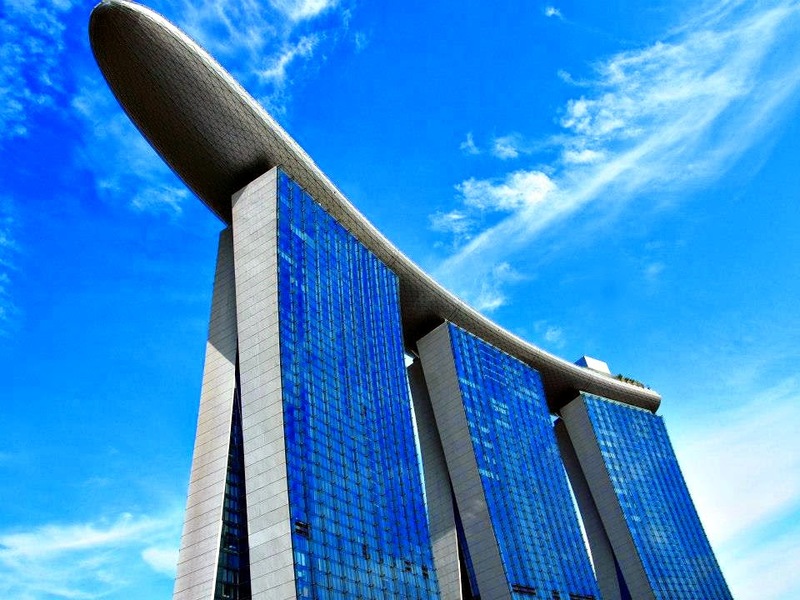 Marina Bay is probably most famous for the Marina Bay Sands Hotel with it's infinity pool at the top. But that's not just all there is at Marina Bay. If you can stand the heat at this time of day, take a walk around the the Marina, check out the famous Lion Fountain. You do get a pretty good view from the viewing platform at the top of the hotel, although it probably is a bit overpriced and unfortunately only hotel guests can use the pool at the top. There is also a huge mall at the bottom of the hotel - if you're looking for somewhere to shop, the mall has pretty much everything and grab something to eat while you're there. The place is so full of greenery you wouldn't think you were in the middle of the city and there are countless large plant-like structures, some with a walkway between, one with a restaurant at the top if you're still peckish. One of the top attractions in Singapore aside from Universal Studios on Sentosa Island. There are 3 wildlife parks that you can go to: the Night Safari, Singapore Zoo and the River Safari. If you want to go to all 3 (which will probably take you more than one day) you can get a discount. The Night Safari was the only one I went to, but it was really good and brought a new perspective to the zoo experience. We bought our tickets at a discounted rate from our hostel and although there is a shuttle bus that runs directly from areas of Singapore to the zoo, it was still really easy to get the MRT and a regular bus there. At the Night Safari there are a couple of 'shows' at set times but the main attraction is hopping onto a safari train to get driven through the night around the zoo and see the animals up close. You can also hop off the train to walk around the trails to get an even closer look and a lot of the animals are up and about rather than sleeping. See more at their website. If you're still full of energy after your busy day, head to Clarke Quay where there are countless restaurants and bars to keep you entertained - there's even a Hooters! Since taxis are pretty cheap and easy to come by, I'd probably recommend catching one back to your hotel or hostel afterwards! Have you been to Singapore? Is there anything else you'd recommend people do when out there? Please leave your thoughts and experiences in the comments below!